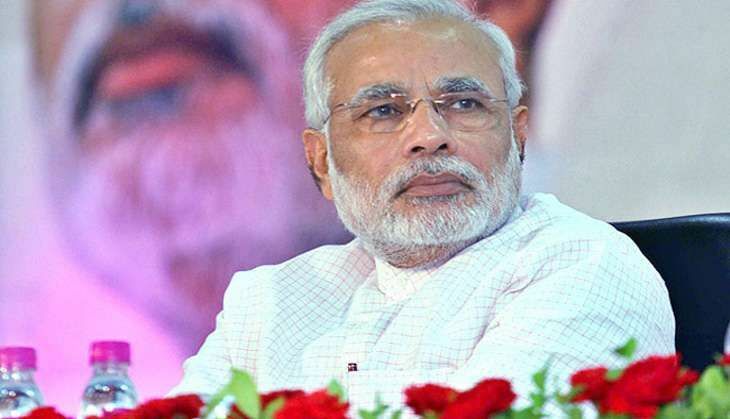 On 21 September, the Union Cabinet chaired by Prime Minister Narendra Modi went on to approve a number of proposals put forth in the Parliament, including giving its nod to the hike in pension given to freedom fighters and their heirs by 20%. The Cabinet also gave its nod for the merger of the General and Railway Budget. The Union Cabinet on 21 September gave its nod for the merger of the General and Railway Budget. With this approval, the 92-year-old practice of presenting a separate Railway Budget will now come to an end from the next fiscal. Apart from the merger, the Cabinet also approved the finance ministry's recommendations to reform the budgetary process, including the date of budget presentation and dropping the plan and non-plan expenditure distinction. The pension given to freedom fighters and their heirs will be hiked by 20% after the Union Cabinet gave its nod to the proposal today. In his Independence Day speech this year, Prime Minister Narendra Modi had said the government would increase freedom fighters' pension. Those who are receiving Rs 25,000, will now get Rs 30,000, the PM had said. The Cabinet Committee on Economic Affairs has given its approval for initiating the process of winding up Hindustan Diamond Company Private Limited (HDCPL), a 50:50 joint venture of the Government of India and De Beers Centenary Mauritius Limited (DBCML). The company used to supply rough diamonds to the diamond processing industry in India, particularly to small and medium diamond jewellery exporters, who had no direct access to rough diamonds from Diamond Trading Company (DTC), London, the marketing arm of De Beers who held a very large chunk of world's rough diamonds market. The Cabinet asserted that the the winding up of HDCPL is not likely to affect the supply of rough diamonds to Indian diamantaires. The Cabinet gave its approval for the signing and ratification of an agreement between India and Samoa for the exchange of information with respect to taxes. The agreement will stimulate the flow of exchange of information between India and Samoa for tax purposes which will help curb tax evasion and tax avoidance. There are no financial implications at present. The Cabinet today has approval the River Ganga (Rejuvenation, Protection and Management) Authorities Order, 2016. "The Order lays down a new institutional structure for policy and implementation in fast track manner and empowers National Mission for Clean Ganga to discharge its functions in an independent and accountable manner. It has been decided to grant a Mission status to the Authority with corresponding powers under Environment (Protection) Act, 1986 to take cognizance of the provision of the said Act and follow up thereon," said an official release.